New legislation has passed in the Vermont State Legislature updating the state's captive law. The new law, which takes effect immediately, amends the reciprocal insurer section and creates a new “dormant” status for captives. I’m proud to sign this bill in response to the industry’s desire to have more options for their captives. 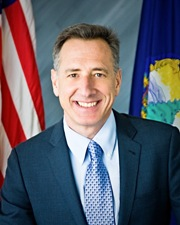 Vermont Governor Peter Shumlin signed new legislation passed in the State Legislature updating Vermont’s captive law, amending the reciprocal insurer section and creating a new “dormant” status for captives. The dormant status establishes an efficient mechanism for a captive that has ceased insurance operations to cost-effectively retain its license should it elect to resume operations in the future. The law takes effect immediately. For more information on Vermont’s captive industry, visit http://www.vermontcaptive.com, call Dan Towle at 802-828-5232 or email dan.towle(at)state(dot)vt(dot)us.